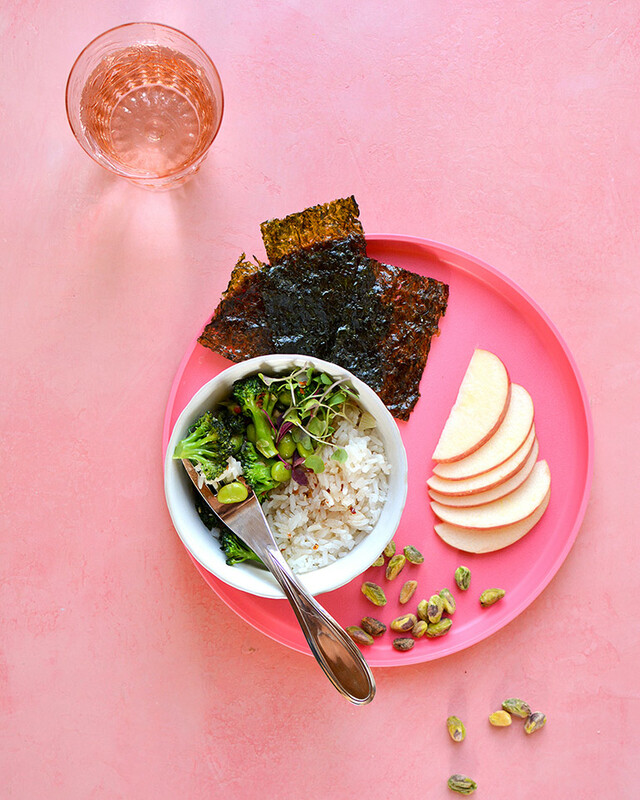 It’s Joy from Lunches + Littles again with another recipe, and this one is not only easy, delicious and kid-friendly; it’s also almost entirely green. Green AND loved by littles? – Yes, it’s true. Read on! Now, a couple years ago, I would have been begging another mom to share all her little secrets for getting her kids to eat their greens, thinking there had to be some magic behind those cleared plates. But I promise, there really isn’t. Today, my kids are eating lots of their greens – no magic needed. Now, I know all families and kids are different but our simple approach has worked wonders so far - I just try to include vegetables at every meal (yes, even breakfast! ), don’t pressure our kids or tell them they “have” to eat anything, and when I know that they like a particular veggie more than others, I offer that one up a little more. As is the case with the broccoli in this recipe. Other current favorites include sugar snap peas and asparagus spears. But back to the broccoli… Broccoli is one of the most kid-friendly vegetables in our house (and at Kelly's too --- Broccoli Cheddar soup is Babycakes' absolute favorite!!!) No matter how I prepare it – steamed, roasted, raw, or, in a dish like this one – it always gets eaten up. 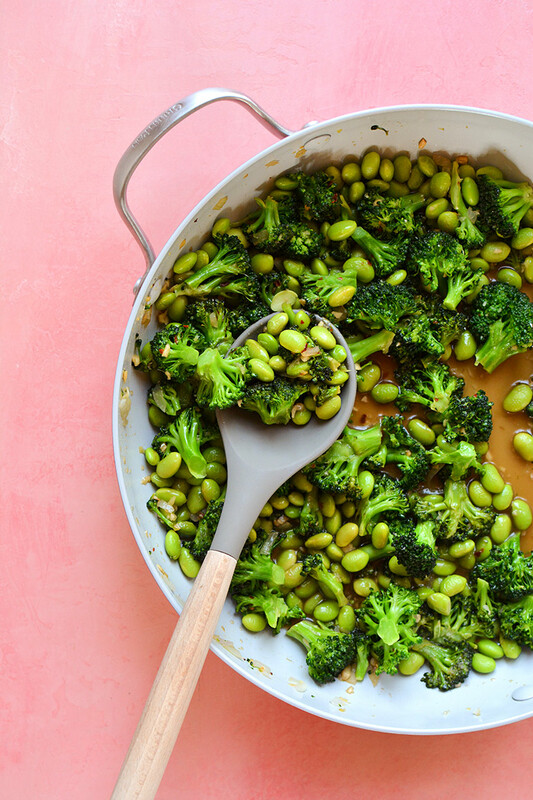 So, for this recipe I paired the broccoli with a less loved choice: edamame. And with those two, served alongside rice and the sweet sauce drizzled on top of the dish, the kids took to both of the greens even better than I even anticipated. 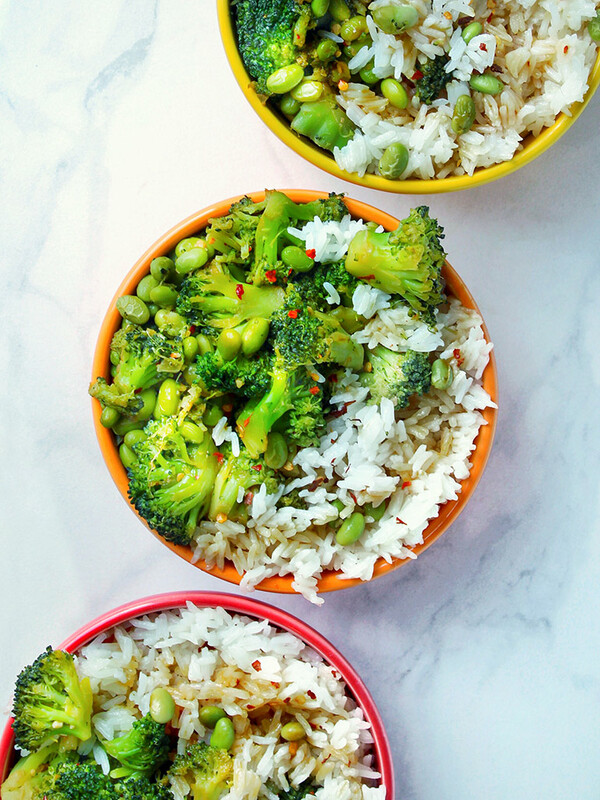 Whether you have kids or not, or just want to get in more greens yourself, these Broccoli and Edamame Bowls w/ Sesame Rice are easy to prepare, vegetarian, vegan and both gluten* (see ingredients below) and dairy-free! So, grab a wok or skillet and let’s get cooking! How’s that for green, delicious and kid-friendly!?! 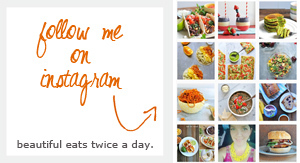 For more delicious recipes that are vibrant, fresh and won’t keep you stuck in the kitchen all day, check out my IG feed, @lunchesandlittles. 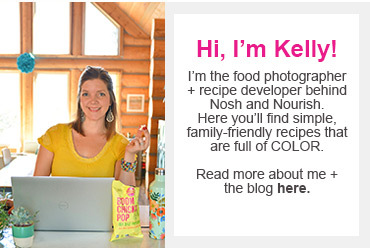 I’m serving up colorful, easy and kid-friendly dishes all the time, and would love you to join me over there! You may have seen over on Instagram, Kelly has started something with the blog called #NourishedLikeMom --- basically making a kid version of each of her recipes to show you how easy it is to transform my family-friendly recipes into actual kid's lunches (or breakfasts!). You can see more here, here, and here. • Start off by cooking your rice according to package instructions. Once cooked, remove from heat, stir in sesame oil and set aside. *If you/ your family likes more rice, feel free to cook 2 cups instead. • Then, prep all your produce – chop onion, mince garlic and mince ginger. Also cut all florets off of your broccoli heads – you should have approximately 9 cups of broccoli florets total (a little more or less is fine). • Next make your sauce by combining the following: honey, tamari, vinegar, flour and red pepper flakes in a small bowl. Whisk until well combined. Set aside. • Using a large wok or skillet sauté your vegetables. Start by heating up oil over medium-heat. Add onion and sauté for about 1 minute until slightly softened. Then add the garlic and ginger and sauté another minute. • Next, add in your broccoli florets and about 1/2 cup of water. Cover and cook for approximately 3 minutes. • Uncover, add in your edamame and sauté another 2 minutes. Then, pour approximately 1/3 of your sweet sauce into skillet and cook another minute, or until everything is tender and sauce is slightly thickened. Remove vegetables from heat and set aside. • Plate dish by dividing rice between 4 bowls. 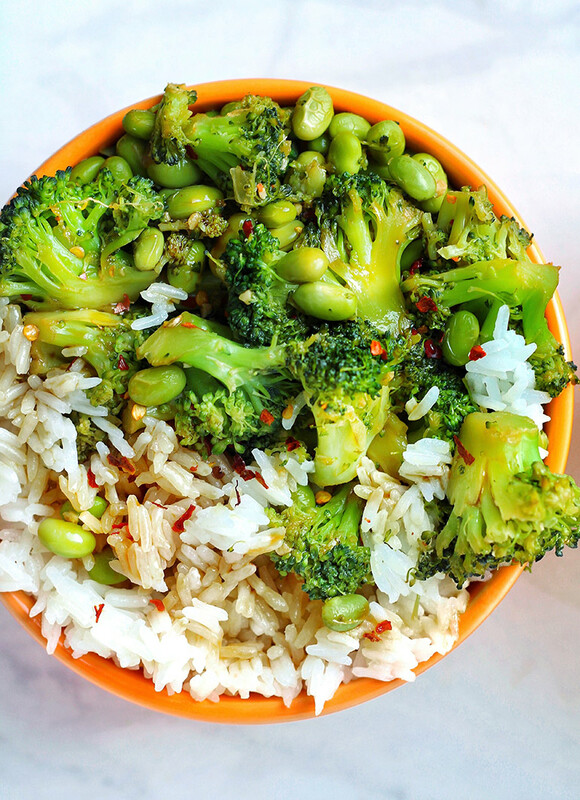 Top with broccoli mixture and drizzle bowls with remaining sweet sauce, and additional red pepper flakes and sesame seeds, if desired.